The Grosvenor Casino in Stockport might not be seen as the most exclusive gambling location in the United Kingdom, but despite this the people at Grosvenor have created a fun and vibrant venue for everyone to enjoy. This is a modern casino that is dedicated to offering the best in terms of service and games for gamblers of all ages. The casino itself has a good location which is easy to reach by public transport or car. With its own dedicated Parking area for customers you can feel safe with your car in the hands of the casino (unless you bet it that is). By offering a nice selection of games and amenities the casino keeps up with the general notion that Grosvenor casinos are some of the best places to go and gamble. 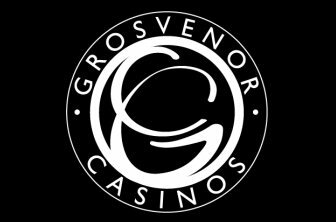 Opening hours are just what you would expect from a Grosvenor casino - the casino is open 24 hours a day, seven days a week, making it an ideal location for gamblers, diners and drinkers to go and enjoy a good day or night out. The gambling floor at the Grosvenor Stockport Casino is adequate compared to the size of the venue and the gamblers that visit. It covers all the basic casino games. Gamblers will find numerous tables that offer American Roulette and Blackjack. Alongside this the casino offers a decent amount of electronic gambling machines, including slots and electronic roulette. The layout of the gambling floor is on that is similar to most other Grosvenor casinos, with the tables being right at the heart of the room and slots flanking the walls to maximize the amount of space for gamblers. One of the things that we really enjoy about this casino is its dedicated Poker section. This means that the Texas Hold 'Em lover can find a wide range of cash games on a regular basis and even the occasional tournament. One thing that we would have loved to see at this Stockport casino is Punto Banco or Three Card Poker, two highly popular games that can be found at most other casinos around the United Kingdom. The Grosvenor Casino in Stockport boasts a Grosvenor Grill restaurant - a name that should be familiar to anyone who has ever visited a Grosvenor casino before. By this name alone it is quite easy to guess what type of food is on offer for gamblers. Sirloin steak, rib eye steak and fillet stake are used handsomely to create some of the best grilled dishes that you will find south of London. One of the nicer features of the restaurant is the other grilled dishes on offer - including grilled Sea Bass, Salmon and Pork. These dishes are complimented by a few curries, and vegetarian dishes to make it a very comprehensive menu. One of our favourite areas of this casino is the casino bar - a place where gamblers can relax and cool down after a long day of gambling. Some people might just need a break and with its great selection of cocktails, beers, wines and spirits there are few better places to go for a drink than the Casino bar. If you feel a bit hungry but do not fancy a full meal we can highly recommend the bar snacks available at the casino bar in Stockport. Most Grosvenor casinos keep their websites very up to date with what is going on - unlike some of the other major casino providers. The casino in Stockport is no exception and they have a bunch of promotions and events going on every single week. The Lucky Number Roulette promotion is an ongoing event - where you can play every mid-day on the numbers that will appear on a particular roulette wheel. If you manage to hit the lucky number you can take home a nice £10 cash prize. From 7pm on a fairly regular basis the casino offers a "New Members Night". This relaxed and fun evening is for those members that have just joined the casino. Here you can learn about what the casino has to offer, play a few hands and enjoy a complimentary drink. An electronic roulette tournament pops up at the casino from time to time. Prize money varies quite a bit but the next one we can see offers a nice £100 prize for the lucky (or skilled) winner. Why the Grosvenor Casino Stockport? Stockport has really surprised us - in a good way. Grosvenor has managed to create and exciting and fun venue where you can bring friends or loved ones for a great night out in the area. The Grosvenor Casino in Stockport is a casino that offers a good selection of the most basic things a gambler wants. The food and drinks are a great addition and allows gamblers to make a full night out of visiting the casino. We are really big fans of some of the events that show up on a regular basis - including the 70's night which seems too good to be true. Join one of the gambling tournaments or visit the casino for Taster Tuesday's - the time of the week when you can try a mini buffet for free. No matter what type of gambler, diner or drinker you are - there will be something that will water your mouth or tickle your wallet when you visit the casino in Stockport.